After reading all of your responses to my "One Pattern - Three Shirts" series, it got me thinking. I often start out with an already made pattern, but I almost never make it exactly the way the instructions tell you to. I love to add simple extras here and there to get different effects. In this post I want to show you how you can make a few very simple changes to your patterns, and get completely different outcomes. I have summarized the different methods I use to change patterns. For each method I have linked to a good tutorial, showing you how to do it (some of which are mine, but not all). 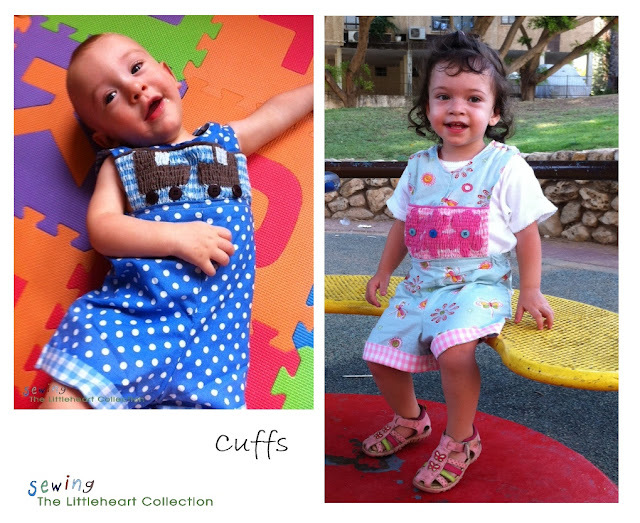 Give them a try and you will be amazed at how far your patterns can stretch. This is probably the most obvious change you can make, in order to get the most looks from your pattern. Even if a pattern/tutorial calls for a certain type of fabric, you usually can use something else. For example, one of my favorite free patterns is the Urban Outfitters Ecote Dress Knockoff from icandy handmade. The first time I made it I used a brown knit fabric for the dress part and a printed knit fabric for the yoke (I also made a ruffle bottom with the print fabric but more about that later). The second time I made this dress I used a purple lightweight cotton fabric for the whole thing. Knit fabric gives your garment a more relaxed look while cotton fabric gives it a more formal look. You would never know it is the same dress! 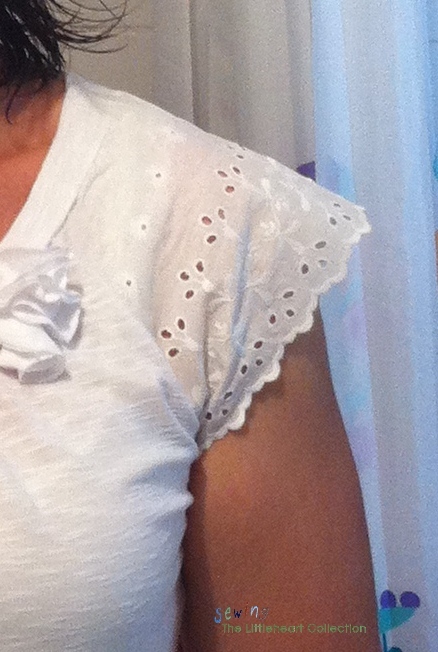 Adding a ruffle gives your shirt/dress a very "girly look". Make it and love it has a clear tutorial on attaching a ruffle to a garment. 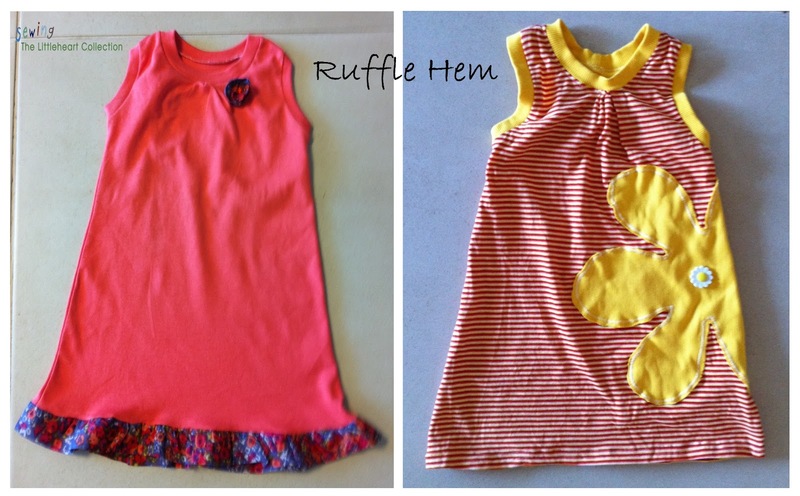 Here is a dress I made for Littleheart (the free "Racerback Dress" from Crafterhours ), where one has the ruffle hem and the other doesn't. I really love the effect the ruffle has on the dress. If you are making a knit Top you can always add a band on the bottom instead of a normal hem. Using a different color fabric can really spruce up the top. 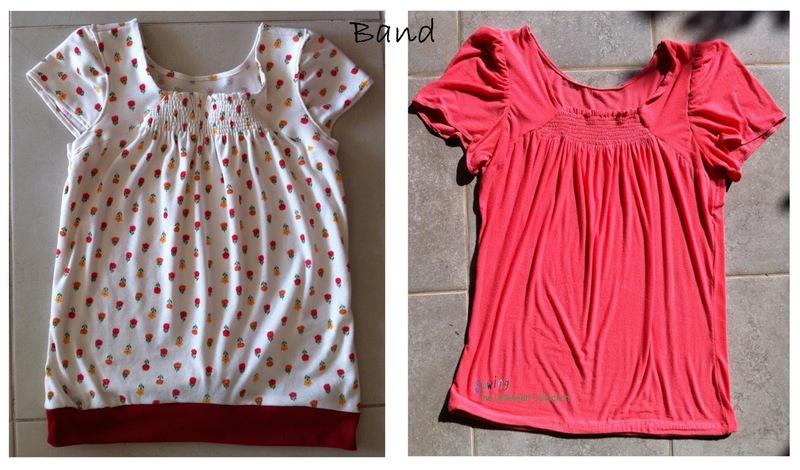 I made my Shirred Front top twice - once using a band and once just hemming the bottom. Go to the post to get the tutorial on how to make the band. 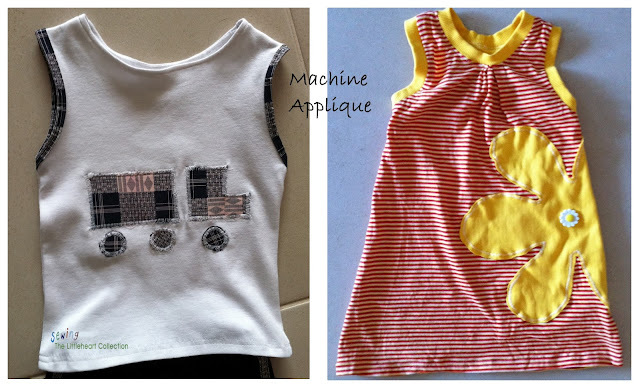 Embellishing a garment can always make something plain look special. I have made a lot of flowers on various garments and have now newly started using appliqué too. I like to play with appliqué by taking a certain sewing technique and using it on a small piece of fabric just for the appliqué. There are endless ways to make fabric flowers that you can use to embellish your garments. I do it all the time. One of my favorite flower tutorials is the summer flower from Sew Serendipity. But there are many others. Visit my pinterest board to find more fabric flower tutorials. There are three fancy necklines you can make, for any pattern, but you need to cut extra material for the front bodice. If you choose to use these methods on a plain neck pattern, you need to make the front bodice a couple inches larger. Fold your material in half. Place your front bodice about 1-1.5 inches away from the fold and cut around the bodice. There are two ways to gather a neckline, you can either gather around the entire neck using elastic or you can just gather the front using a gathering stitch. I have yet to try the elastic gathered neck, but I think it is really pretty on peasant blouses/ dresses. Sew like my mom gives a nice detailed tutorial for you. This works great with raglan sleeves. The gathered front neck is really popular and used on many shirts for women and girls. 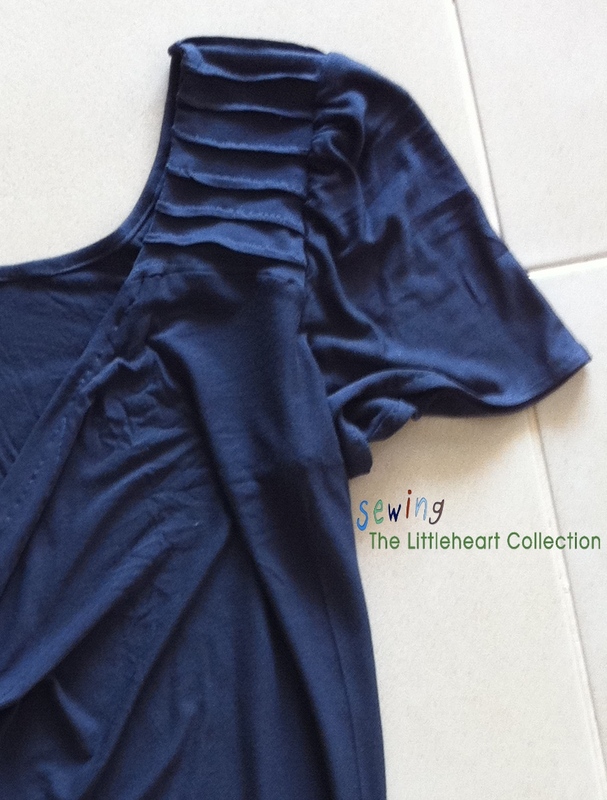 Sew together and Meggipeg have basic tutorials for a gathered neckline. Sometimes I add a single box pleat in the front of a shirt. Most of the time it is intentionally, to make the shirt more interesting, and sometimes I do it if my front bodice turns out too big for some reason. Jen from Icandy handmade has a good tutorial for this one. 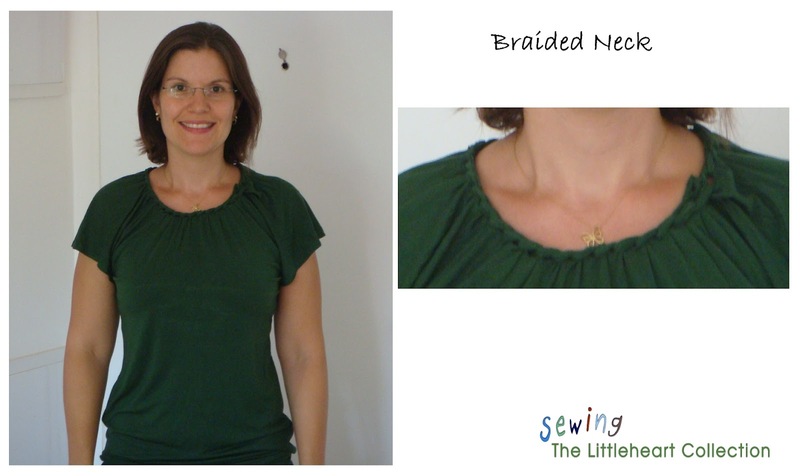 This is a really fun way to finish a neckline, and there is no folding, ironing, bias tape…involved! I love this braided neck technique, I should really try it more often! Go here for a detailed tutorial. There are so many options you can choose for your sleeves, you do not have to stick with the sleeve option that comes with your pattern. Most often a pattern will come with a perfectly fit sleeve. You can make this sleeve a bit smaller or larger to get either a gathered sleeve or a half sleeve, or even make it into a petal sleeve (which I still need to try!). 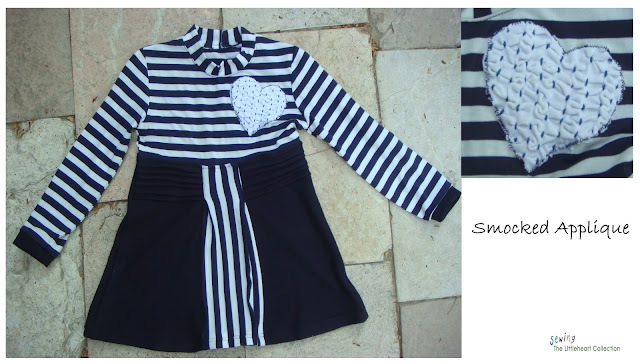 Shauna from Shwin and Shwin has a great tutorial on how to alter a sleeve pattern to add gathers to the top. I have a little tutorial for the half sleeve here with a pattern for a woman's shirt size medium. If you want to use it on a different size, take the basic shape and adjust to your size. You can always leave out the sleeves completely, and make a sleeveless shirt. Instead, sew on some bias tape or a knit band around the armhole, or line the bodice to get clean edges. Instead of using just fabric for your raglan sleeve, use a wide piece of lace. 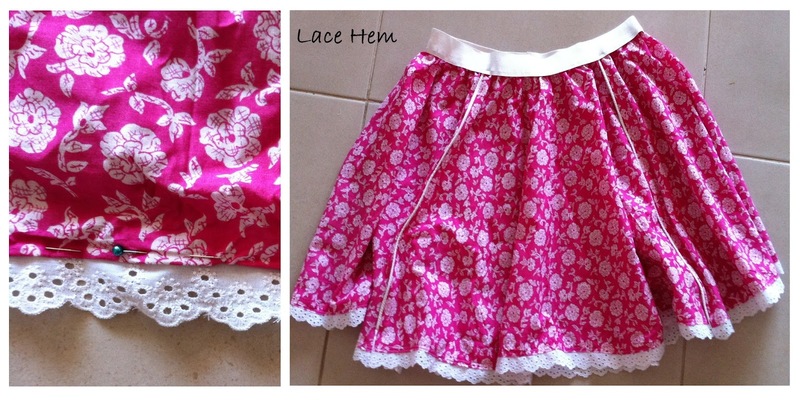 The lace has already finished edges (no hemming!) and gives a really pretty effect to the sleeve. I just came across this tutorial from My Sparkle while writing this post, on how to make a petal sleeve. She shows how to take a regular sleeve pattern and turn it into a petal sleeve. And since this post is about altering your patterns to get various outcomes, I thought I would share her tutorial with you here. I love Lettuce edges both on sleeves and hems. 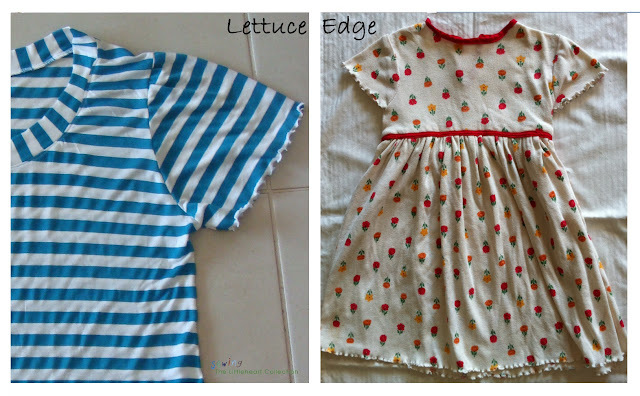 I think my serger has rolled hem option, but it is old, and I don’t have all the parts, so I found this tutorial from From an Igloo, on how to make a lettuce hem with a normal sewing machine. It is so easy, fast and really pretty! Try it out! You can always add cuffs from a different material to add some interest to your pants. 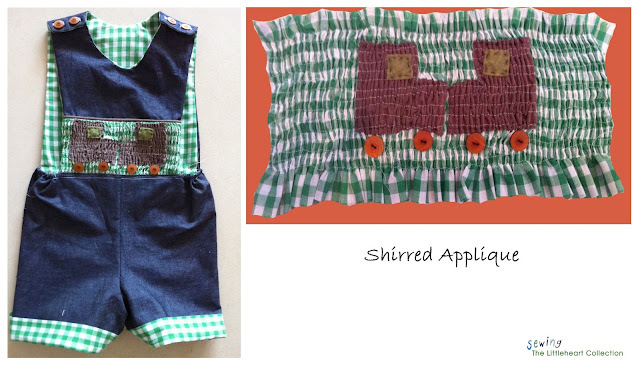 I used this method on my Lani overalls. I have had this project from Tonya Staab on my pinterest board forever, but just haven’t gotten around to it this summer. Maybe I can try it on a long pair of Jeans? Wobisobi also has a simple tutorial for adding lace to your pants. Both of these tutorials are for refashioning your Jeans, but you could just as well use the techniques on newly sewn pants. Well, that was a lot of information. I hope this post was useful, and maybe you learned something new. Now go ahead and make some great looking clothes! See you next time! I am so glad you left a comment directing me to come here! I love the two versions of the dress you made! So fun to see how they turned out. No one has sent me a picture of their version of the dress before now, so I am so glad. Also- We are doing a series about the same topic as your post! 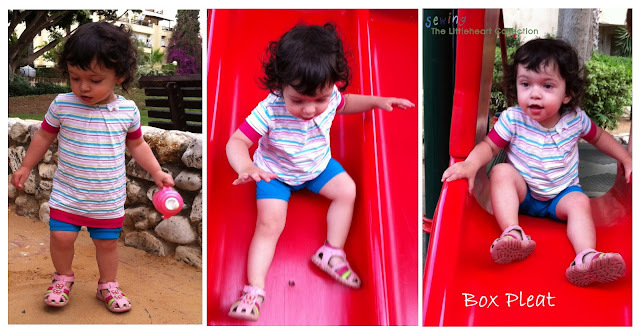 Some guest bloggers and I are creating dresses based on a basic bodice pattern. I would love to link up to this fabulous post on the topic! 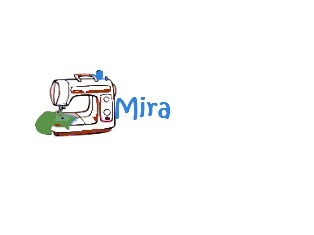 A VERY comprehensive post, Mira!!! I just love your creativity using all these different techniques. I'm going to look into the Lettuce Edge as it creates such a pretty effect and that braided neckline looks interesting. Lucky girl being given lots of lace!!! Thank you for this comprehensive post! 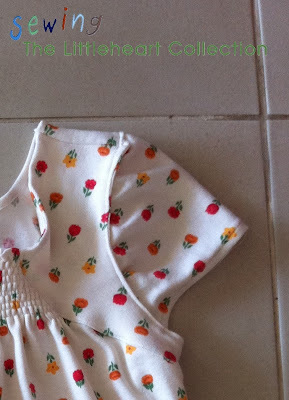 It shows very clearly how much garments change with even minor changes, very helpful. This is such a useful post - thanks so much! I am only just learning to sew really but this makes it seem as though you can alter things and make them more you quite easily. I will definitely be coming back to this. Hi Sarah, I am so glad this post is useful to you! The idea was really to help beginners get started with their own creativity. Enjoy! Way to go in customizing your patterns! I really love the purple dress on you and the red striped kids dress with the yellow flower! Thanks Justine! The purple dress is my favorite.